PITTSBURGH (CNS) — Once it is released, a grand jury report on a months-long investigation into abuse claims in six Pennsylvania dioceses covering a 70-year span “will be a sad and tragic description of events that occurred within the church,” Pittsburgh Bishop David A. Zubik said Aug. 4. “For over 30 years, the Diocese of Pittsburgh has had policies in place to respond quickly and compassionately when victims of abuse have come forward,” he said. “We respond to allegations today very differently than decades ago,” he explained. Bishop Zubik also announced that the day the grand jury report is released, the diocese will release to the public the names of its clergy who have been accused of abuse. With the release of the report, expected as early as Aug. 8 and no later than Aug. 14, “I continue to be deeply concerned about the victims and the ongoing pain and suffering they endure. We need to continue to pray with and for them, and to offer assistance wherever possible,” Bishop Zubik said in the letter, read at all Masses the weekend of Aug. 4 and 5. Besides the Pittsburgh Diocese, the other five dioceses that are the subject of the grand jury report are Harrisburg, Greensburg, Allentown, Scranton and Erie. The Pennsylvania Supreme Court ruled July 27 that a redacted version of the report should be released. In June, the court had put a hold on the full report being released because it said it needed to review challenges filed by “many individuals” named in the report. “A number of the petitioners asserted that they were not aware of, or allowed to appear at, the proceedings before the grand jury,” the court said in its earlier opinion. In its new ruling, the court said the report will be edited to protect the identities of those challenging its release. Bishop Zubik in his letter reviewed the procedures the diocese has in place for addressing allegations of abuse. “When a credible allegation is made against a member of the clergy, we take immediate action by removing the priest or deacon from ministry, and by sharing that news with you, the faithful. In addition, we inform law enforcement of all allegations of abuse,” he said. “We have rigorous policies to protect children. If you have been employed by the church or have sought to volunteer in your parish or school, you have experienced our efforts to protect children through training programs and background checks. These steps have made a difference and continue to do so,” he said. 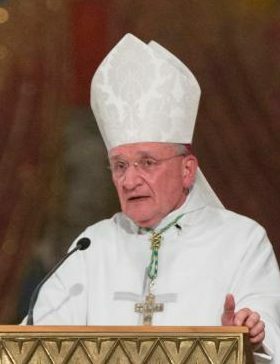 “More people in the church are coming to better understand child abuse, and they are able to recognize the signs of possible abuse and the need to report it,” he added. By releasing the diocese’s list of clergy accused of abuse, “it is my hope that doing so will further strengthen the trust that you, the faithful, have placed in our diocese and in the ministry of our priests and deacons,” Bishop Zubik said. “In the past I truly believed that turning these names over to local law enforcement was appropriate and sufficient action. However, the conclusion of the grand jury investigation requires a higher level of transparency on our part,” he said.